When we think about children with disabilities, many first think about them as being “different”. It’s true, children with disabilities do have different needs, but then again, don’t all children have different needs? Every child is unique — they all develop differently, they all have unique personalities, different strengths and all require distinctive support to fulfil their potential. 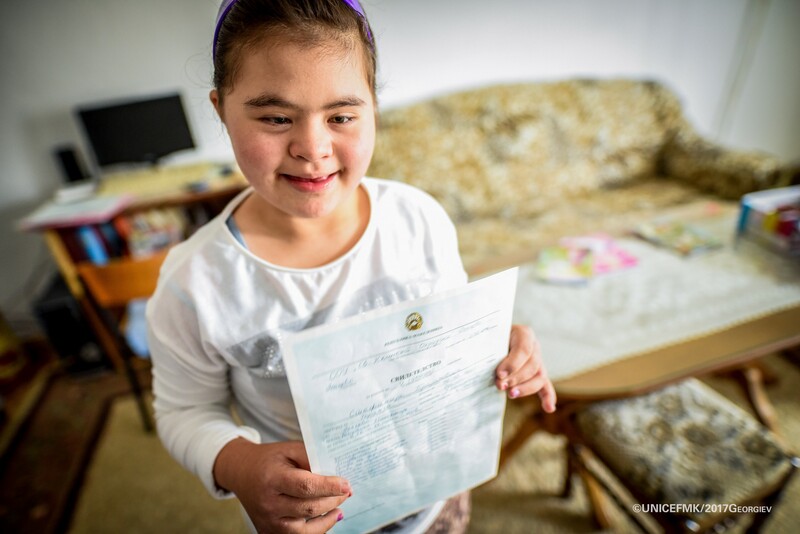 What makes Stefanija Trajanovska, a 12 year old with Down syndrome different from other children her age? Stefanija happily writes down the correct answer to the maths exercise her mother prepared for her. Like most children, Stefanija loves going to school. When asked, what’s her favourite subject she instantly replies — all of them! “Over the summer she worked extra hard to prepare for the transition from lower primary to grade five,” says her mother Milena. Stefanija navigates the internet on her home computer. 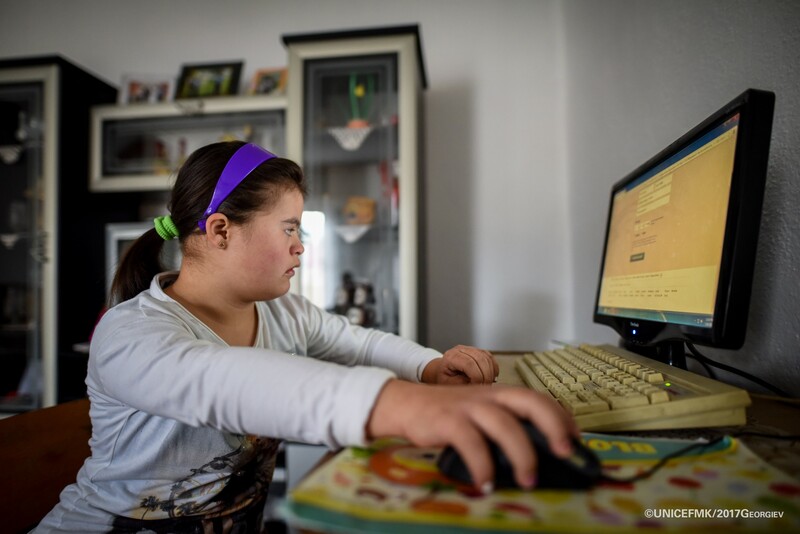 Like most children, Stefanija loves to browse the internet for lyrics to her favourite songs; to connect with friends; play online games; find answers to questions her teacher or parents cannot answer. “We are supposed to support her, but when it comes to computers, Stefanija is more skilled than most of the staff at the day care centre,” says Jasminka Sinadinovska, pedagogue from the Daycare Centre in Delcevo that Stefanija frequents after school. Stefanija proudly holds up her straight “A” report card. Like most children, Stefanija is proud when she gets a good report card. 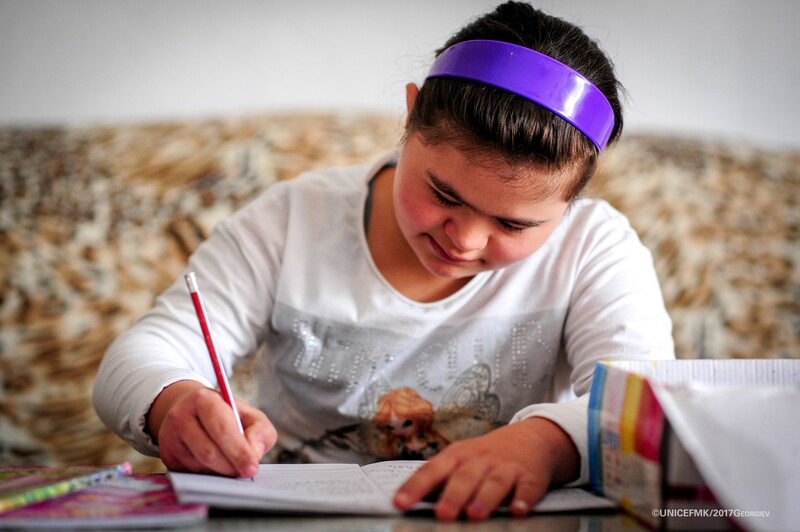 “Stefanija was prepared for school when she first started visiting the Daycare Center, thanks to the love and support of her family. And she always puts in extra effort when learning new lessons,” says Sinadinovska. 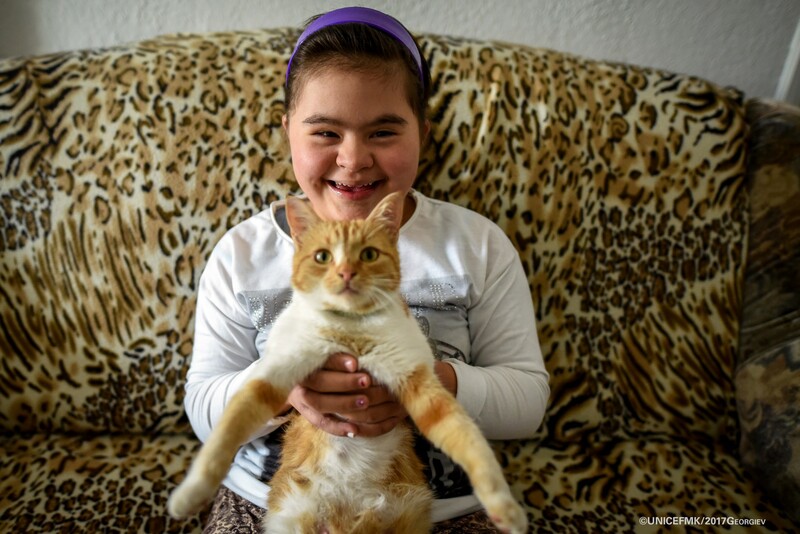 Stefanija holds the family pet that she and her older brother take care of. Like most children, Stefanija loves to play and have fun. Playing with and taking care of the family cat is one of her favourite things to do in her spare time. 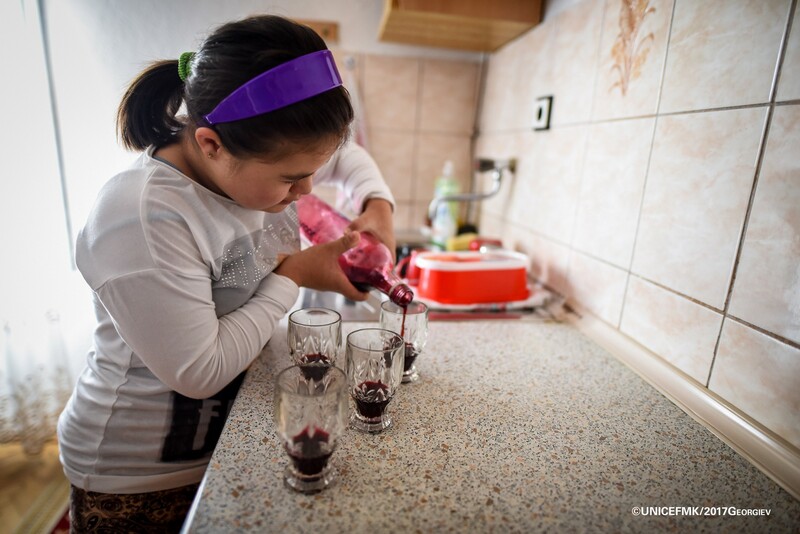 Stefanija confidently pours homemade black currant juice in the family kitchen for guests. Like most children, well okay “some” children, Stefanija never complains when she has to help out with household chores. In fact she loves the sense of responsibility when her mother asks her to help set up the dinner table. Stefanija self-assuredly demonstrates her darbuka drumming skills. There is one thing that makes Stefanija different from other children — she loves to play the darbuka. And even though her family is not always pleased with the loud drumming, they happily accept her playing when they see the smile on her face as she gets into the rhythm of her favourite tunes.